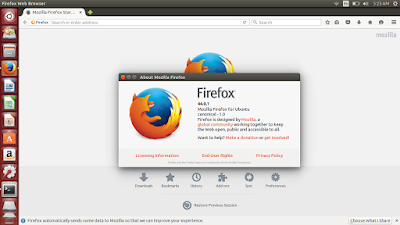 In Ubuntu 14.04, the built-in version of Firefox is 28.0. This is pretty old version of Firefox. To upgrade it into the latest version (44.0.1 when this article written), but you dislike Ubuntu automatic software updater way of upgrading, follow this instruction. Important: this instruction is applicable to another version of Ubuntu (such as 12.04 or 15.10 currently) and further version of Firefox too. If you don't have it, just write that exact line. To do it, you can use sudo gedit /etc/apt/sources.list command. Do sudo apt-get update command. 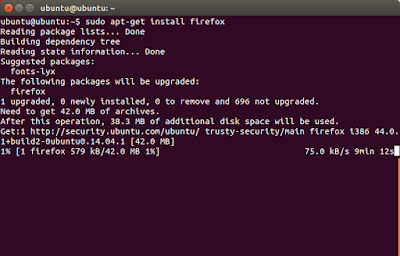 This will download the new index of official Ubuntu repository especially for trusty-security repository. 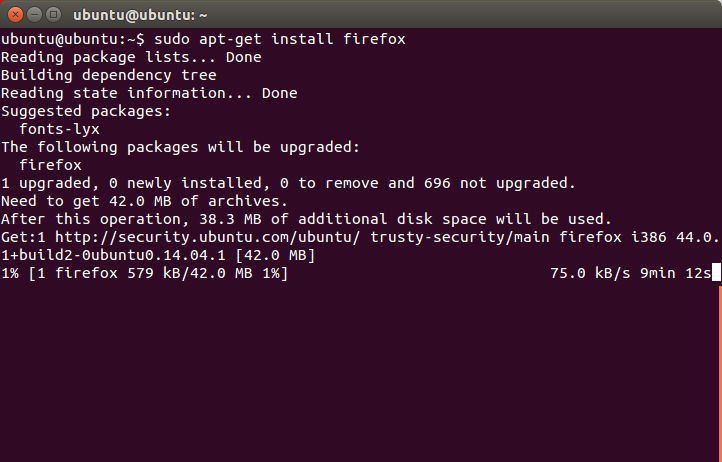 Because the new version of Firefox is located at trusty-security, apt-get will download it from there. Do sudo apt-get install firefox command. 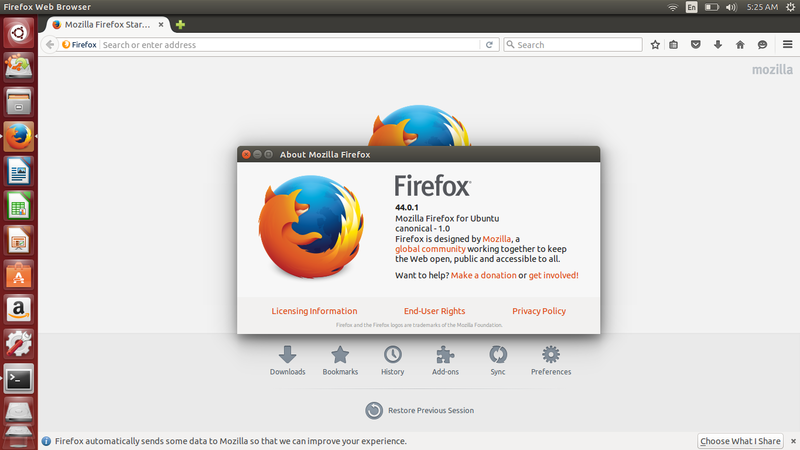 This will read your current installed version of Firefox (e.g. version 28.0), compare it with the official repository, and install the latest version from trusty-security section main repository. It downloads about 40 MB data. Note: for you don't know, sudo apt-get install is not only does installation job, but also does upgrading if the repository setting is already correct.